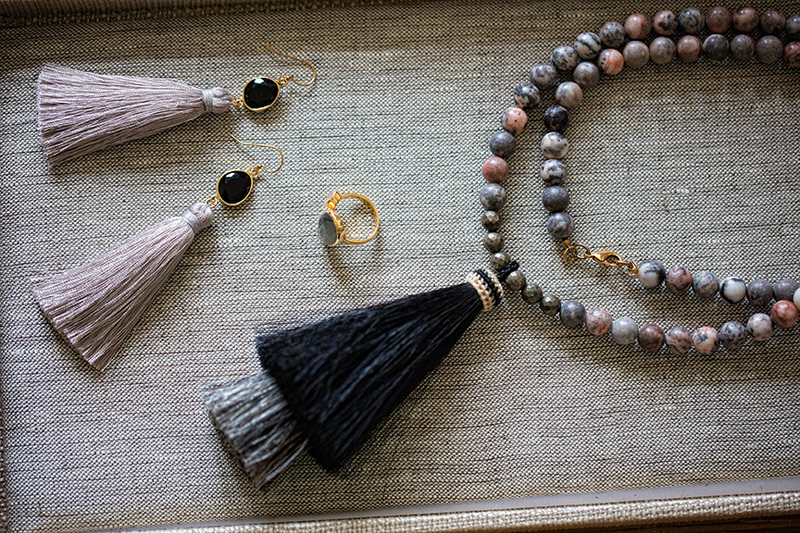 Collections by Joya brings handmade, unique accessories to women in St. Louis and around the world. 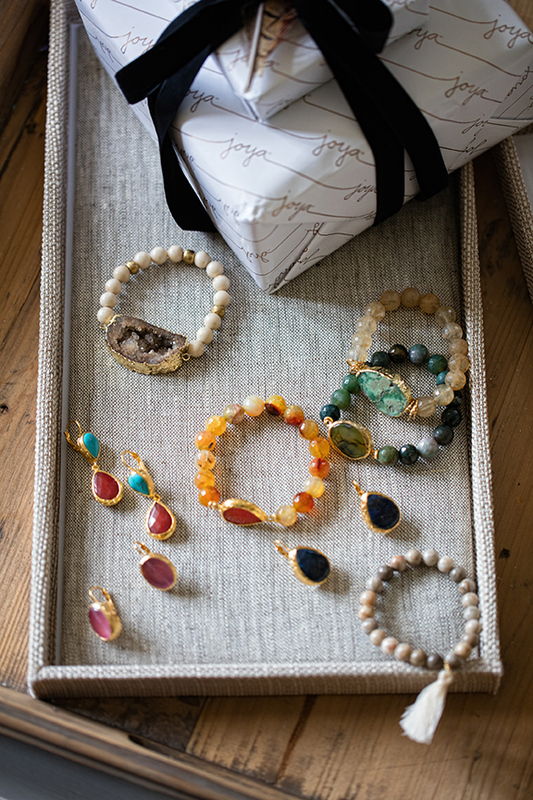 Collections by Joya is more than just another jewelry company. It's an internationally owned, for women, by women, artisan brand; a channel for jewelers all over the world to share their unique, handmade treasures; and a support system for women everywhere. How did a local St. Louis jeweler become all of this? According to co-founder Betsy Blancett-Nacrelli it's a simple matter of having a lifelong passion for women and a quick 14 years of experience in international retail and design. “I was afforded many opportunities to travel to some amazing places like Indonesia and India to work with vendors. 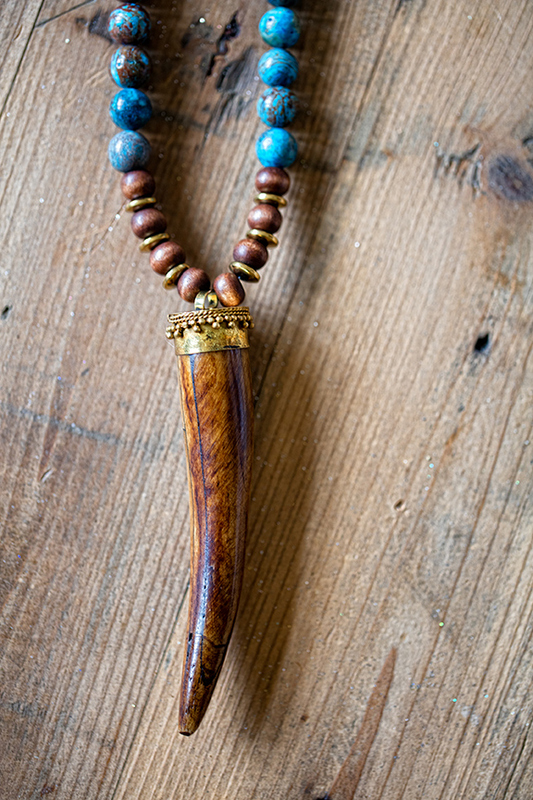 Whenever I got a chance, I loved exploring the local shops and I was struck by the artistry of the traditional jewelry making techniques in these places,” says Blancett-Nacrelli. The seasonal collections currated by Joya go through a long process that starts more than a year in advance with her team collecting a range of inspiration. The most influential of which, Blancett-Nacrelli explains, being different cultures. “Travel is definitely the biggest inspiration for us. I've been incredibly fortunate in my career to be able to experience many cultures and see all of these amazing pieces and styles,” she says. From there, the Joya team narrows down those combined inspirations into an “inspiration story,” which sets the palette, tone and style. Once that's decided it's a matter of reaching out to their local and international artisans to procure samples to be critiqued. After those selections are made, the only thing left to do is production, promotion and you taking it home with you. 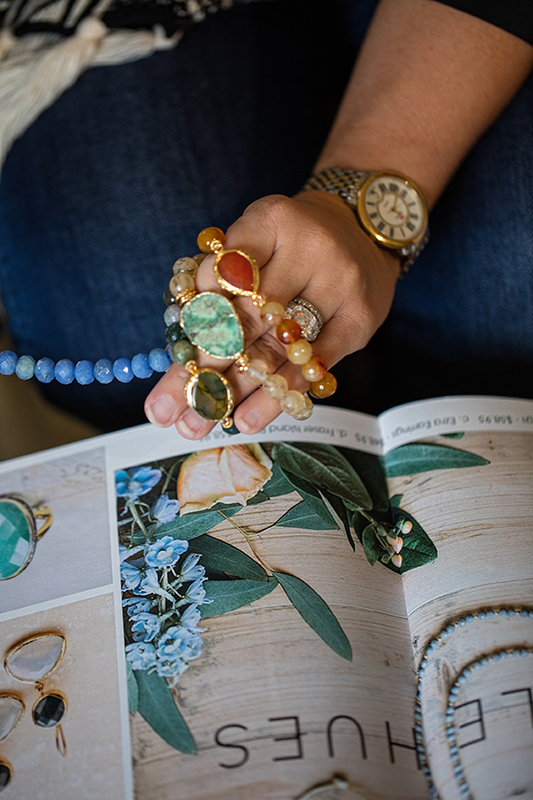 In addition to creating and selling some of the most authentic and intriguing accessories available today, Joya also has a huge focus on helping women. “Joya is women-owned. We work with women artisans, and then we give back to women's charities with every purchase. It's absolutely the most important part of the business for us and also the most rewarding,” Blancett-Nacrelli explains. They do this in a traditional way by giving a portion of their sales to organizations like the Bali Life Foundation and the Women's Safe House. Another way they help is their subscription box service. “Everyone I know is a busy working woman, which usually means that—between work and family—they're the last person they take time for. We wanted to create something easy that is just for them because they deserve it,” she says. As for what's next, Blancett-Nacrelli explains that in the near future they will be expanding their selection into more types of accessories, as well as broadening their wholesale reach to more than 10 states.